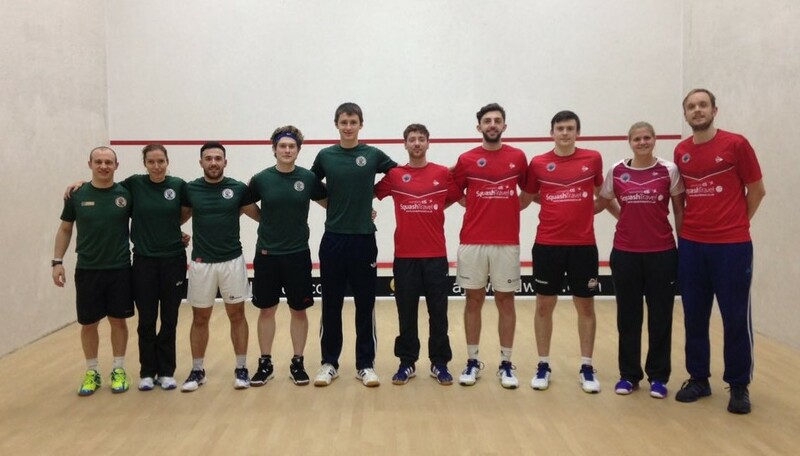 The fourth round of the Premier Squash League featured a number of close finishes, and a first defeat of the season for the defending champions. 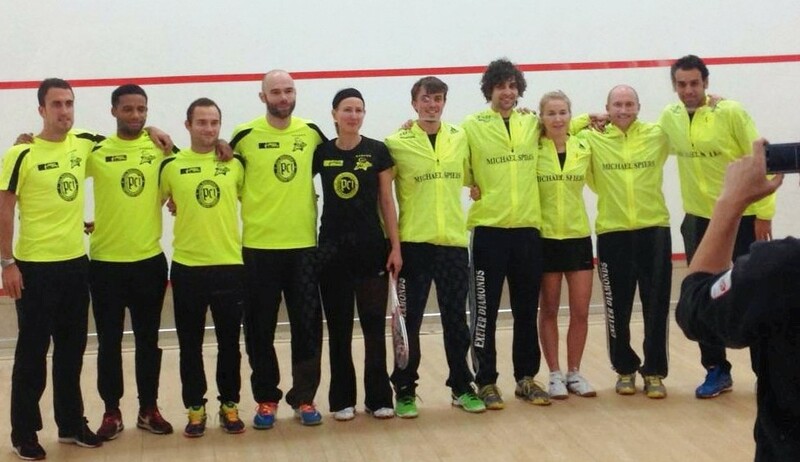 Group A leaders Benz Bavarian Duffield, strengthened by the availability Nick Matthew on his return from the World Champs in Bellevue, took the lead as Laura Massaro beat Emily Whitlock, but visitors Everards Leicester took the next three men’s matches to inflict Duffield’s first defeat. 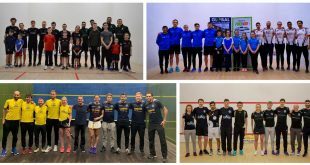 Daryl Selbe was leading 2-0 in the final match when Matthew retired injured, giving Leicester enough of a gap to put them level with Duffield on 58 points at the top of the table. 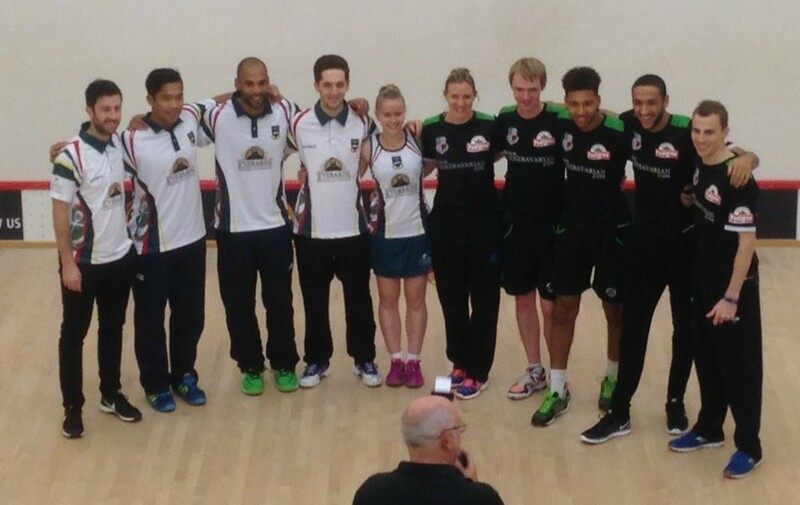 Univerity of Birmingham Lions visited Air-IT Nottingham, with both teams looking for a win to boost their playoff credentials, and after Alan Clyne had put Nottingham ahead in the top string match, it was Birmingham who took control, and the victory, with wins from Sarah-Jane Perry, Chris Ryder and Joel Makin, with Jan Van Den Herrewegen making it 4-1 overall with a 3-2 win over Nottingham skipper Mark Fuller to finish. 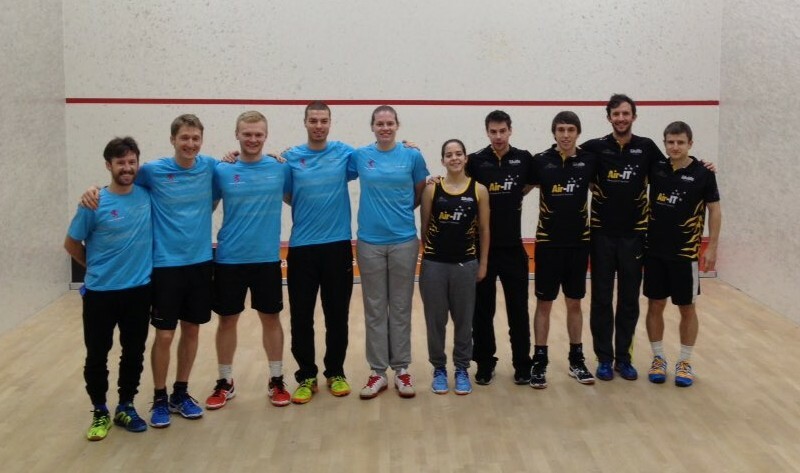 Pontefract and London Coolhurst have both struggled so far this season, and their match went down to the wire. 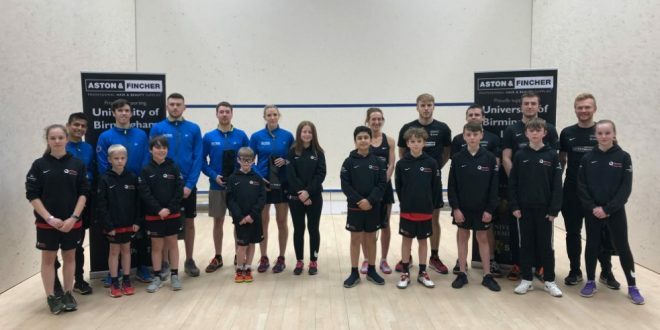 The first four matches were shared, Patrick Rooney and Lewis Doughty with 3-0 wins for Pontefract while Coolhurst’s Nick Sutcliffe and Madeline Perry both edged home in five. 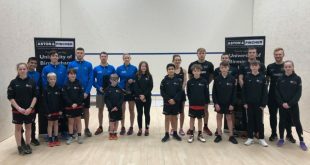 In the decider World semi-finalist James Willstrop found himself two games down against James Earles, and match-ball daown in the fourth before finally winning the match in five to give Pontefract a first win of the season. 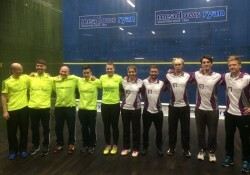 In Group B leaders 9 Telecom St George’s Hill kept their fine start to the season going as they raced into a match-winning 3-0 lead against struggling Exeter Diamonds, finishing it off 4-1 to stay at the top of the table. 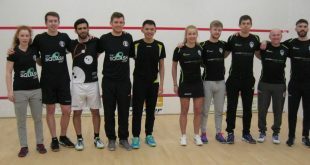 Neighbours Virgin Active Surrey kept in tough with the leaders with a win at home to bottom of the table ClubNet Winchester, but the visitors won the first and last matches thanks to Gina Kennedy and Zahed Mohamed. 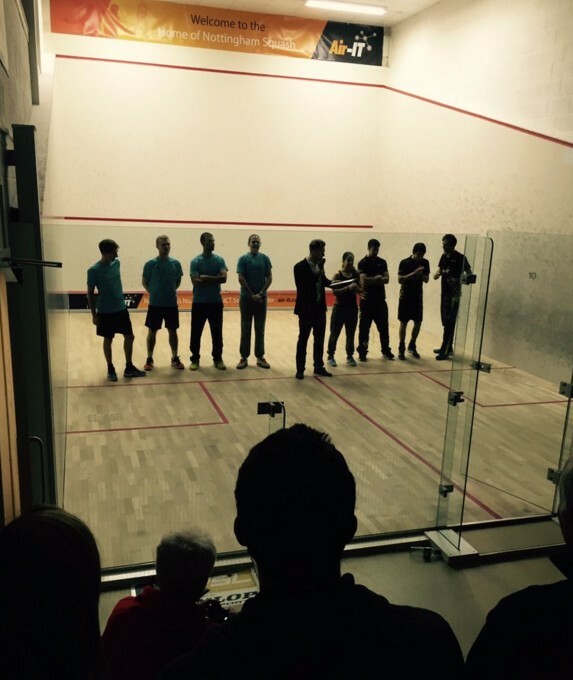 Second and third in the table UWE/Elite Squash Bristol and Team Chichester met, with visitors Chichester coming within an ace of victory. Lauren Briggs put Chichester ahead, and with the visitors leading 2-1 Matt Hopkin held match ball only to see Bristol’s Josh Masters fight back to take the fourth and fifth games 13-11, 17-15. 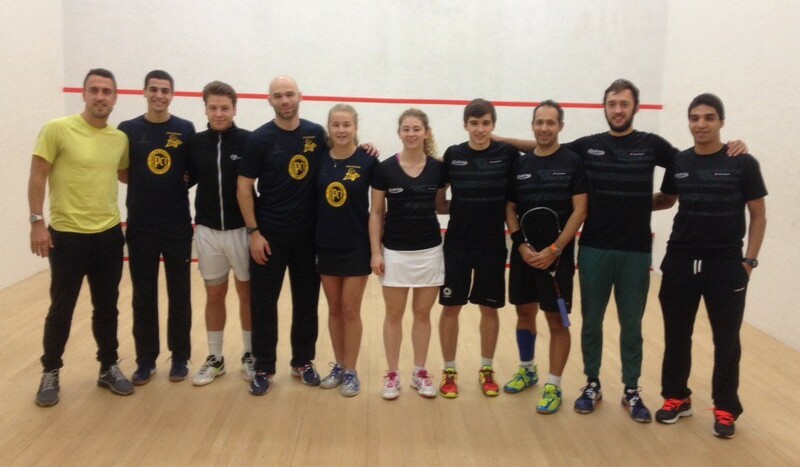 Marwan Elshorbagy made that count as he came from a game down against Robbie Temple to clinch the win for Bristol to keep them in second place. 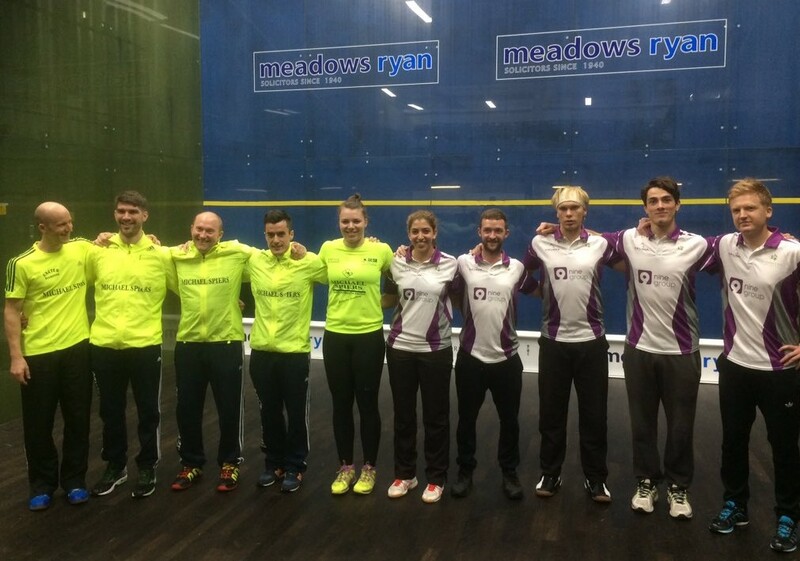 Champions Duffield are strengthened by the return of Nick Matthew from Bellevue, which pushes Laura Massaro down to four, but Leicester travel with a strong squad with a good middle order. A virtually full-strength Nottingham welcome the visit of Birmingham while Pontefract are able to field world semi-finalist James Willstrop against a Coolhurst team short of its top players. 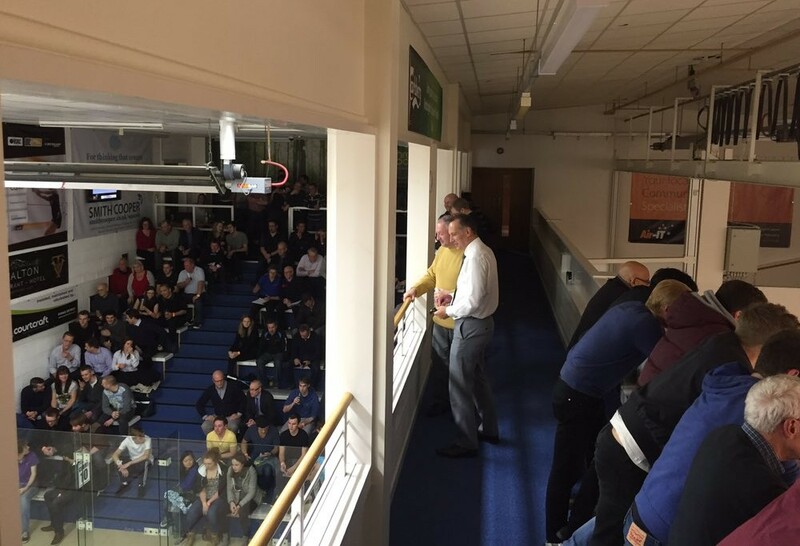 Crystal Ball: Leicester 3-2, Nottingham 4-1, Pontefract 3-2.